Cliquer ici pour voir le nouveau site internet de NGO Monitor en français. 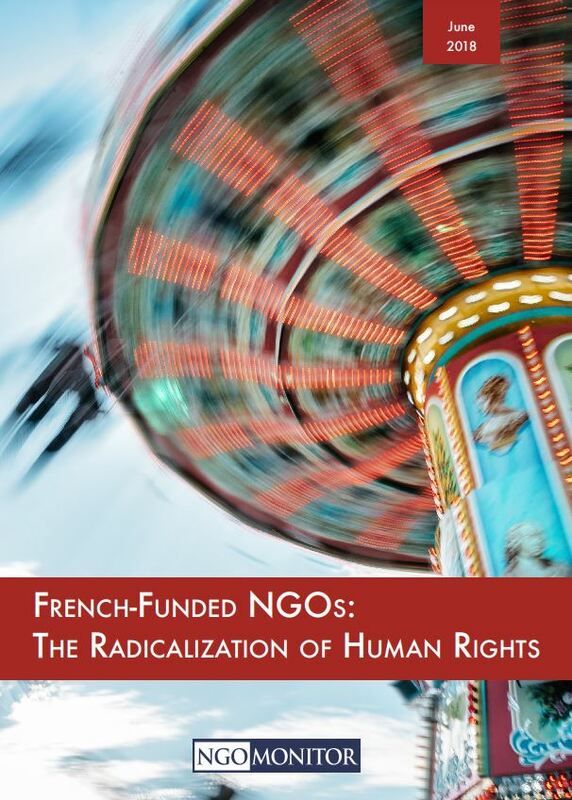 France provides millions of Euros to French, Palestinian, and Israeli non-governmental organizations (NGOs). Direct funding to these NGOs is transferred from the French Ministry of Foreign Affairs and International Development (MAEDI) through L’Agence Française de Développement (AFD – French Agency for Development), the Consulate General of France in Jerusalem (The Consulate), and French regional governments. Indirect French government support is channeled through French aid organizations such as CCFD- Terre Solidaire, Secours Catholique, and the NGO Development Center (NDC) in Ramallah. In addition, MAEDI funds the French aid organizations Center of Crises and Support (CDCS) and Humanitarian Emergency Fund (FUH) that are active in Jerusalem, the West Bank, and Gaza. According to information provided to the Israeli Registrar of Non-Profits, Israeli politicized NGOs received the following direct funding from the French government since 2013. All amounts are listed in NIS. Unless otherwise noted, figures were taken from quarterly reports submitted to the Registrar. *2013-2015 figures based on annual reports submitted to the Registrar; 2016 on quarterly reports. In 2015, the Consulate allocated €246,000 for “mini projects” in the areas of human rights, legal aid, protection against lands confiscations, and education fields in Gaza, Area C of the West Bank, East Jerusalem, and refugees camps. The Consulate states, “These projects are part of the geographical and political priorities of the French cooperation in the Palestinian territories,” but detailed information about the projects is not disclosed. In previous years, the Consulate funded “mini projects” carried out by the politicized, pro-BDS organizations Jerusalem Legal Aid and Human Rights Center (€20,000) in 2012-2013 (p.6) and the Women’s Center for Legal Aid and Counselling (€20,000) in 2011-2012 (p.14). Since 2015, AFD has provided €5 million in support for a project titled “Local Development in Area C.” The details of the project are not available to the public and AFD did not respond to NGO Monitor requests for information. In 2016, the French Ministry of Foreign Affairs and International Development (MAEDI) provided the Women’s Centre for Legal Aid and Counselling (WCLAC) with €34,200. WCLAC fieldworker, Manal Tamimi, frequently utilizes antisemitic and violent rhetoric and imagery on social media. In 2016, MAEDI provided Association France Palestine Solidarité (AFPS) with €3,000 for a music and speaking tour of conscientious objectors, including Tair Kaminer. 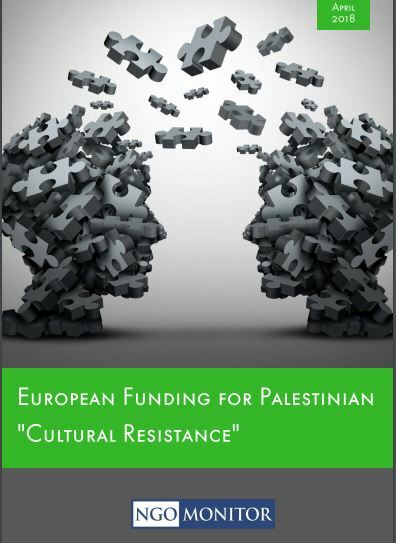 €75,000 for the Palestinian Popular Struggle Coordination Committee (PSCC) and Comet-ME, for a project in Hebron. The PSCC organizes protests that frequently turn violent (see videos of PSCC protests in Hebron, Kfer Qaddum, Nilin, Nabi Saleh, and Beituniya showing protestors hurling rocks, throwing sharp objects, trying to destroy the security barrier, and committing arson). From 2012-2014, the Union of Agricultural Work Committees (UAWC), initiated and implemented a €354,489 project in the “Hebron governorate.” UAWC is identified by Fatah as an official PFLP “affiliate,” and by USAID as the “agricultural arm” of the PFLP. According to academic scholar Glenn E. Robinson, UAWC was founded in 1986 by “agronomists loosely affiliated with the PFLP.” USAID further identifies UAWC as the “agricultural arm” of the PFLP. The main funders of the project were: The French Ministry of Environment, Energy, and Sea, via the Water Agency Rhône Mediterranean Corsica (€177,000), the Consulate General of France in Jerusalem (€31,000), and the Regional Council of Provence-Alpes- Côte d’Azur (€93,176). 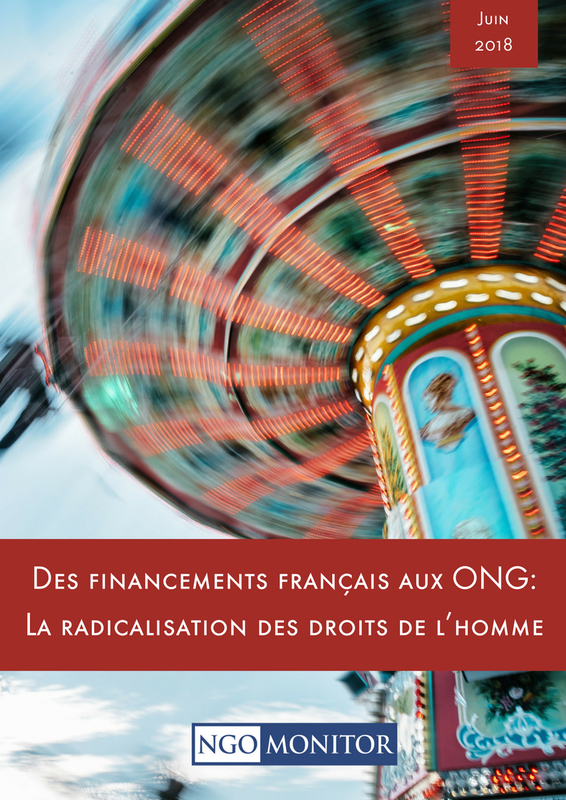 In 2015, The French Ministry of Foreign Affairs and International Development provided Al-Haq with €27,842 (line 1199) to support its activities in the “private sector and human rights.” Al-Haq is a leader in anti-Israel “lawfare” and BDS campaigns and also has alleged ties with the PFLP terror group. In 2012-2013, the Consulate General of France in Jerusalem provided Diakonia, a Swedish NGO that is highly involved in anti-Israel lawfare campaigns, with €20,000. According to information provided to the Israeli Registrar of Non-Profits, politicized Israeli NGOs received the following indirect funding from the French government since 2013. All amounts are listed in NIS. Unless otherwise noted, figures were taken from quarterly reports submitted to the Registrar. * Based on annual reports submitted to the Registrar. Between 2010 and 2013, AFD provided the NGO Development Center (NDC) with €5,000,000. NDC distributes funds to politicized organizations, some that support BDS campaigns against Israel. $27,000: YMCA – East Jerusalem. $329,888: Palestinian Agricultural Relief Committee (PARC). $63,300: Edward Said National Conservatory of Music. $394,200: Palestinian Hydrology Group (PHG). In 2013, funded a €599,000 project via Association pour la Formation des Ruraux aux Activités du Tourisme (AFRAT) with the Palestine Wildlife Society to develop rural tourism in the West Bank. In direct opposition to the principles of academic freedom, Palestine Wildlife Society endorsed the 2005 call for an academic boycott of Israel. In 2018, provided a €800,000 for an educative and civil involvement project via CCFD- Terre Solidaire with the Culture and Free Thought Association (CFTA) for young people in Gaza. CFTA also endorsed the 2005 call for an academic boycott of Israel. In 2014, it provided €770,032 for a similar project via these two organizations. From 2012 – 2014, funded a €139,550 project via Association France Palestine Solidarité (AFPS) with MA’AN Development Center to assist farmers in the Jordan Valley to develop date agriculture. 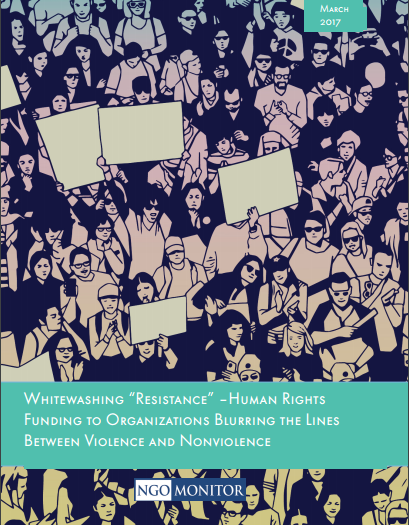 MA’AN Development Center published “Boycotts, Divestment & Sanctions: Lessons learned in effective solidarity” (2009), a guide to grassroots and international BDS campaigns. Association France Palestine Solidarité (AFPS) is a French organization that receives French public funds. AFPS’ ‘SOS Palestine’ fund: Every year, AFPS raises money under the banner of “SOS Palestine.” The organization claims that “without occupation, there would be no problem of poverty or shortage in Palestine.” Funds are transferred to politicized Palestinian NGOs, some of which have alleged ties to the Popular Front for the Liberation of Palestine (PFLP) terrorist group. In 2016, under this framework, AFPS transferred €100,000: Recipients include Health Work Committees (HWC) (€15,000), which has ties to PFLP terrorist group; and the Culture and Free Thought Association (CFTA) (€15,000) and the Palestinian Medical Relief Society (PMRS) (€15,000), both of which promote BDS campaigns against Israel. In 2014, AFPS transferred €150,000: Recipients included the Union of Agricultural Work Committees (UAWC) and HWC, two organizations with ties to the PFLP terrorist group; and PMRS, CFTA, and the Ma’an Development Center.Funding amounts are not given. In June 2017, France joined a humanitarian consortium led by the politicized Norwegian Refugee Council (NRC), along with four other international NGOs: Action contre la Faim, ACTED, Première Urgence Internationale’s Spanish branch, and Gruppo di Volontariato Civile. This consortium was established in 2015 “at the initiative of DG-ECHO and five EU Member States (Belgium, Italy, Luxembourg, Spain, Sweden)” and claims to “protect Palestinians in the West Bank, including East Jerusalem, from individual and mass forcible transfer.” Following its joining in 2017, France provided the NRC with €350,000. NRC supports politicized “Litigation of public interest cases …through Israeli courts and international mechanisms.” Previously, NRC funded over 4,000 cases and legal interventions in Israeli forums. Since 2012, AFD has provided approximately €500,000 to Association France Palestine Solidarité for projects in the West Bank. AFPS legitimizes the use of armed struggle within the Palestinian popular resistance, demands that the EU remove Hamas and the PFLP from its list of terrorist organizations, and is a leader of BDS campaigns in France.